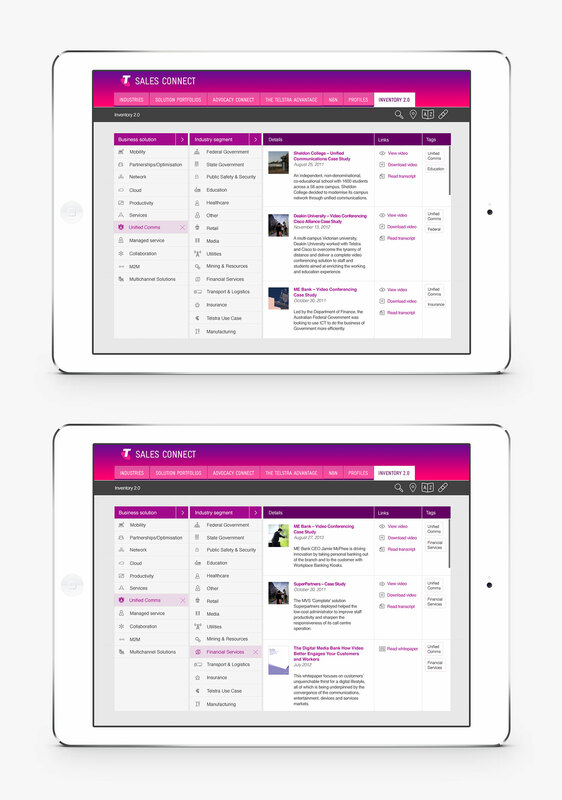 Telstra Sales Connect was a comprehensive internal digital sales tool, designed to give Telstra Staff all the information they’d ever need on their customers, products, and the industries they sold to. I was responsible for overseeing and delivering an overhaul of the UX, and UI design, with a huge variety of information to communicate across multiple industries. At Brains, we worked with the Telstra staff to test and iterate, delivering a comprehensive sales tool that included up-to-date news, and a searchable database of relevant publications.